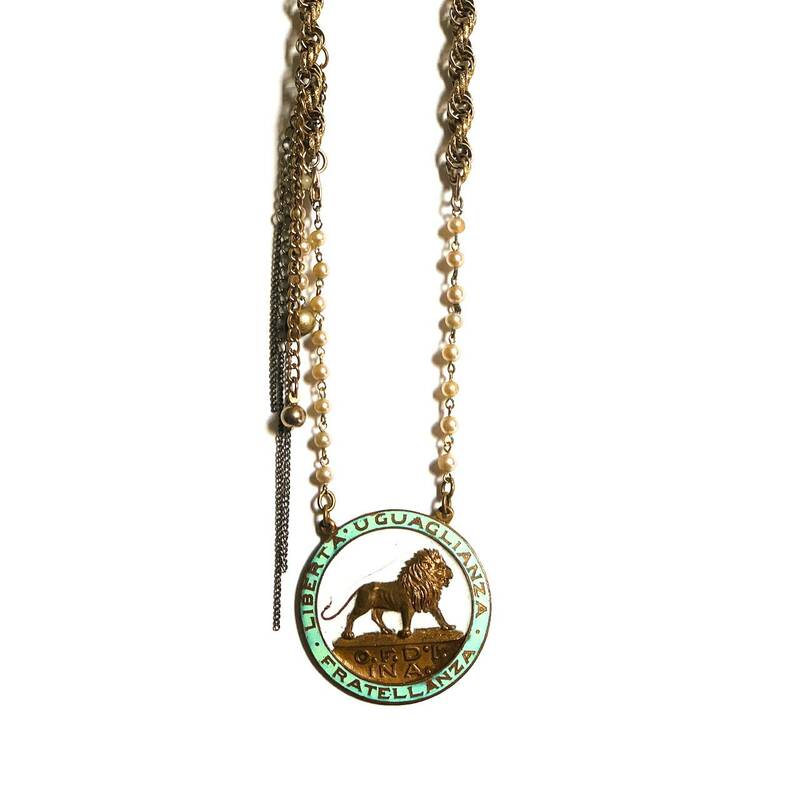 This truly one of a kind necklace was made with an antique Italian fraternal medallion. 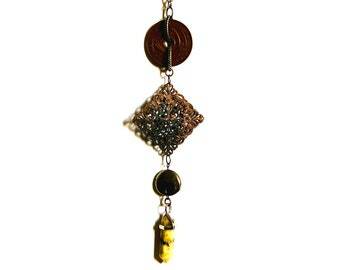 The medal alone is highly collectible and rare to come by with a 2 inch diameter and beautiful raised enamel. 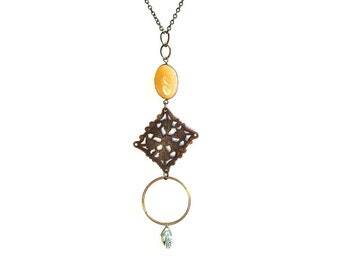 The medallion hangs from vintage and antique gold-plated chains, approximately 20 inches long. 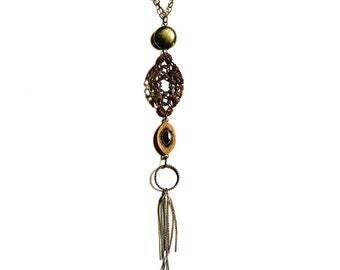 The necklace clasps to the side, decorated with a cascade of chains. Ships from New York City with USPS priority mail within 3 business days.